Craig Melvin Has To Go! What Are You Thinking NBC?? 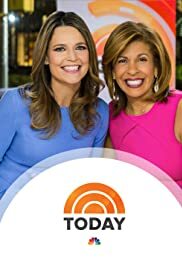 I am a huge fan and a long time devoted viewer of the TODAY Show, but since Craig Melvin has come on the scene for the M-F time slot with Hoda and Savannah, it is unbearable to listen to his voice! I cannot understand anything he says, he mumbles, his voice sounds like he is being strangled and trying to talk and grasping for a breath all at the same time. The voice is so annoying that I have to mute the volume and now because he is apparently a third anchor, I will need to find a new morning show. Worst idea ever to hire him for any kind of TV or commentary, he needs a job where he does not speak. NBC you have it all wrong. You have lost another viewer. Leave it the way it was with Hoda and Savannah Only as anchor's. Love Love Love Hoda and Savannah as the morning team, we do Not need the third wheel. When he is removed, I will come back as a viewer. 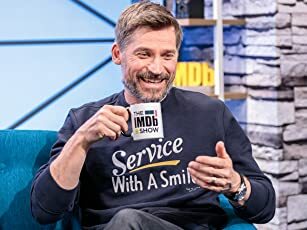 The voice is so grating, I cannot be the only viewer that has this opinion NBC, just take a look at all the other complaints posted here, on reviews, social media and elsewhere, listen to your viewers. I loved the Today show and was a devoted viewer, no longer.